‘Yoshie or Michiko slaps down a big white mound besides the peas and the carrots, in the home-fry’s shadow, next to the bread and butter. 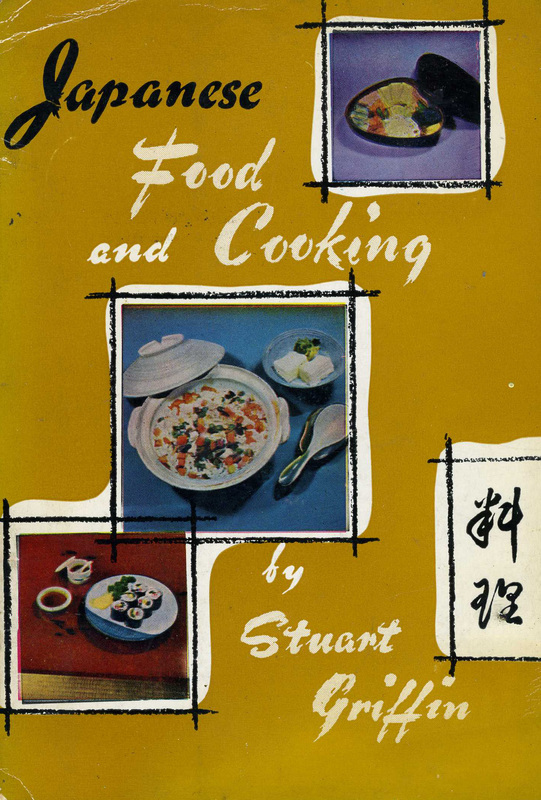 “Starch!” gasps Mrs American Housewife in a stricken voice, but yields’. 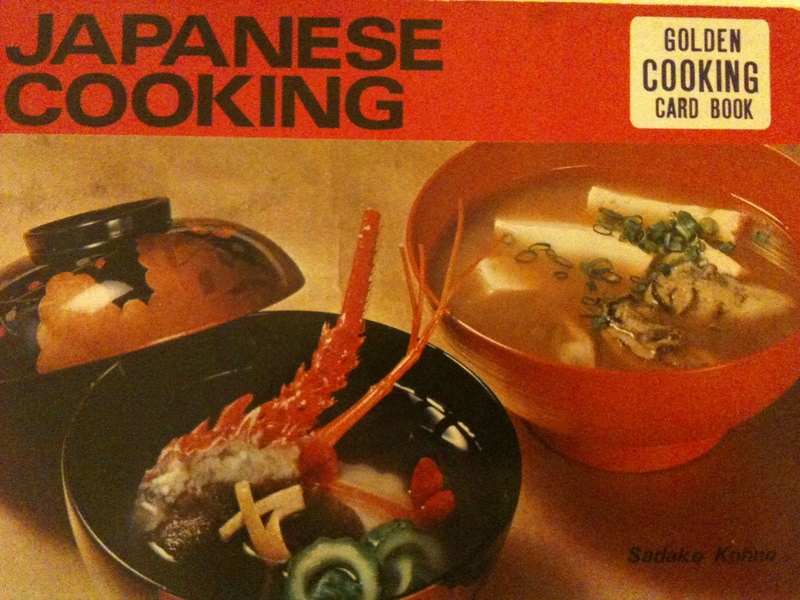 This is from a Golden Cooking Card book called Japanese Cooking. 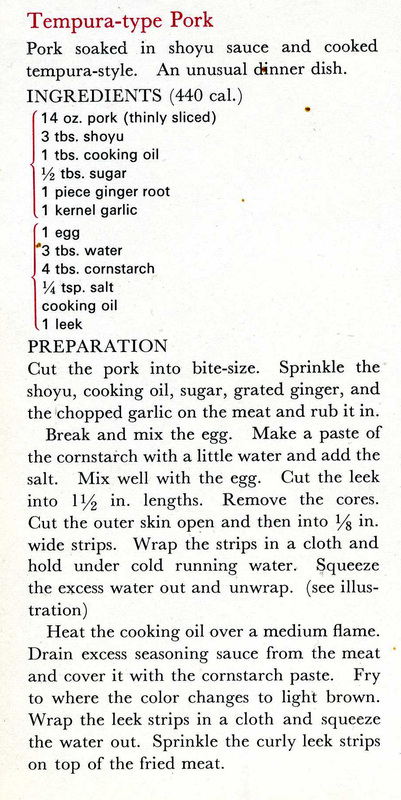 It’s from 1968. I also have one for Hawaiian Cooking, but so far everything I’ve looked at in there needs taro leaves and Nisa doesn’t do them. 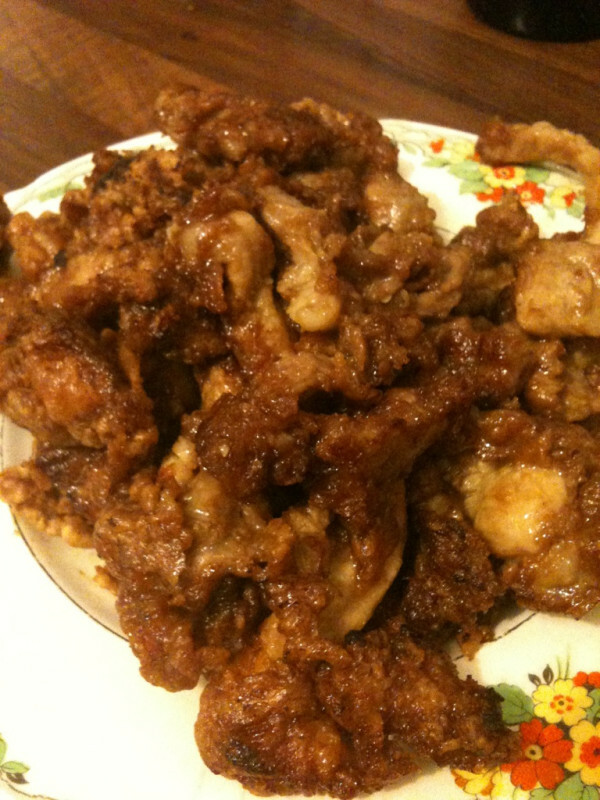 I wasn’t sure whether I could blog this recipe – I did it somewhat ad hoc, being in need of a vegetable side, and having most of the ingredients to hand. I did omit the monosodium glutamate as that’s really not something I have. 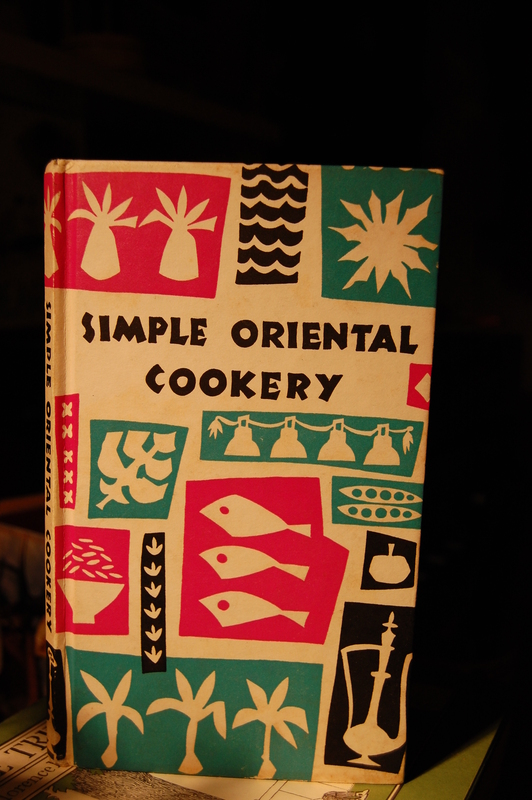 Reckon I might get some though, for future recipes from this book. I used to hate soy sauce. I don’t know how that happened because nowadays pretty much every meal is an excuse to consume the stuff. 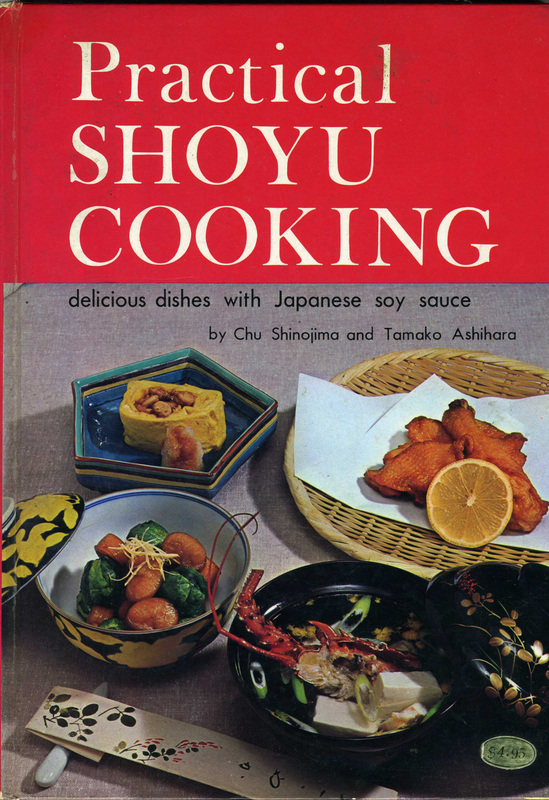 This book seems written for me – Practical SHOYU COOKING (Japan Publications, 1969) and indeed it is full of things I want to cook. I started with something very basic today, but hope to progress onto the more complex recipes, for instance there’s a load of omelette type recipes that are calling my name. But today, I needed soup. There’s not a lot goes into this dish, and convincing myself that it was what I needed as my first meal of the day was hard – I was certain I needed more substance, having forgotten to eat for about 5 hours upon waking (I was immersed in a general ‘life laundry’ type activity, where I created a huge pile of belongings all earmarked for the charity shop. Got a bit carried away).